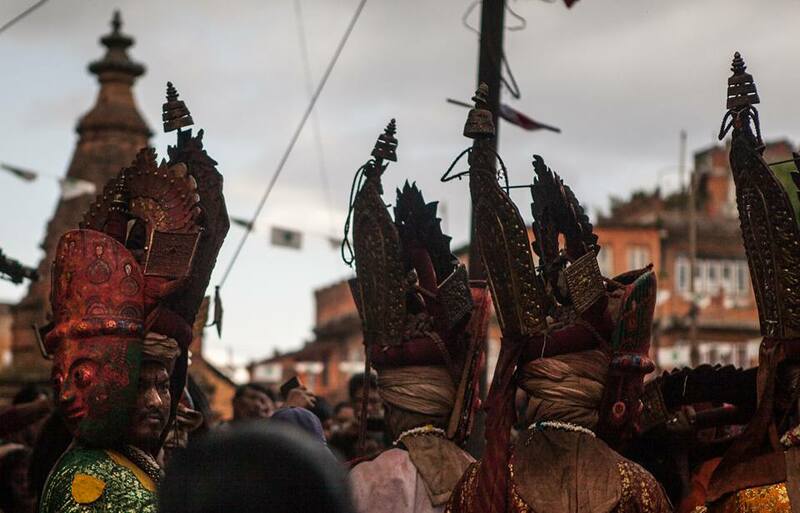 Every year Panauti celebrates the Navadurga Jatra, the festival of Nine Durgas, which falls – normally – during the end of April or beginning of May. It is a masked dance ceremony dedicated to the nine Durgas, Durgas – The Goddess of War – The sources to the all energy of Lord Shiva. The multiple demonic representations are the manifestations of Parvati; the power of Shiva in the Tantric tradition. It is celebrated for, continuous, three days. The Navadurga tradition is unique in its use of masks, its mobility, and in its social roles. The characters behind the holy masks, is believed that the gods who are represented come to manifest themselves in the human body. 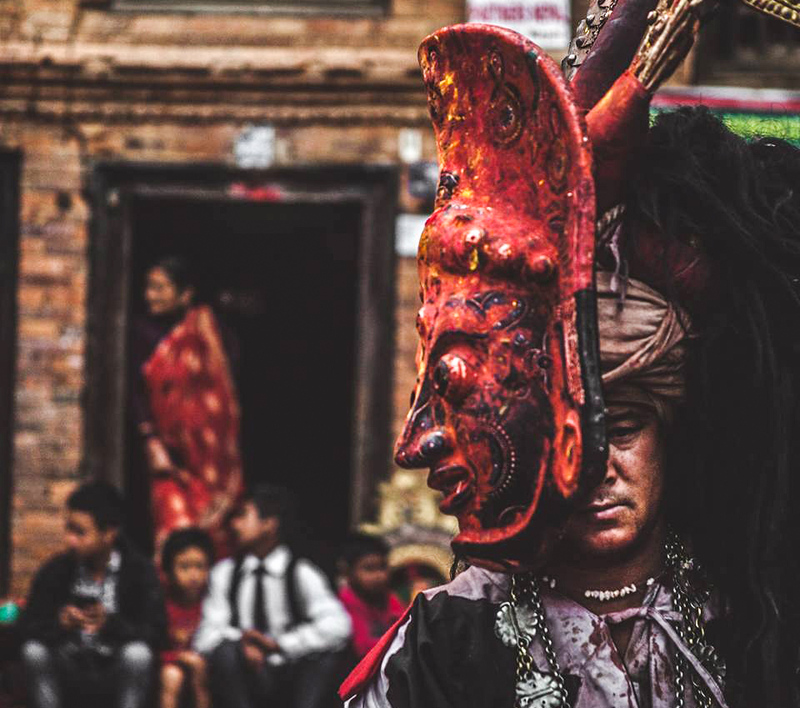 While wearing the masks the Banmala, a low ranking social group, becomes regarded as divine and assumes a position on the top of the social hierarchy. While wearing the masks the Banmala are believed to transcend the normal social order as well as normal human capabilities. During this time the beings are able to do things not normally done by humans, such as drinking liters of alcohol and eating hundreds of eggs. 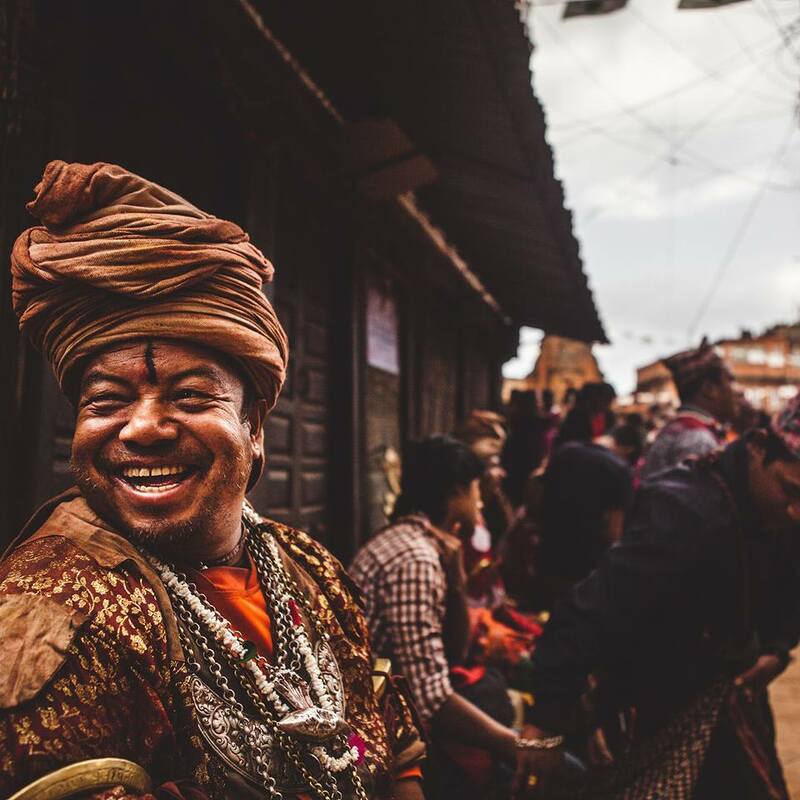 This entry was posted in Nepal, Culture & Festivals, Volunteer Tourism and tagged Nava Durga Jatra, Panauti Community Homestay by royalmt. Bookmark the permalink.